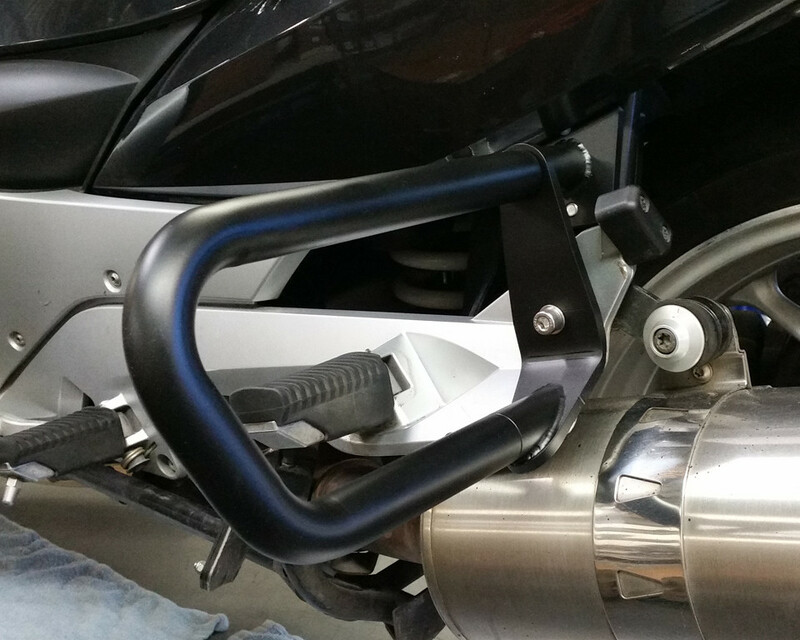 Ilium Works Engine Guard Bar System or Crash Bars for the R1200RTW (water cooled). 1. Made from 1” dia. heavy wall steel tube, TIG welded and powder coated for years of trouble free service. Stronger than thinner wall stainless steel, with no strength reducing deformations to the tube contours. 2. 3/4” dia., powder coated, solid steel, cross bar tying the two sides together for increased rigidity. 3. All hardware is stainless steel. 4. These protection bars provides a solid foundation for mounting Highway Pegs and auxiliary lighting. 5. 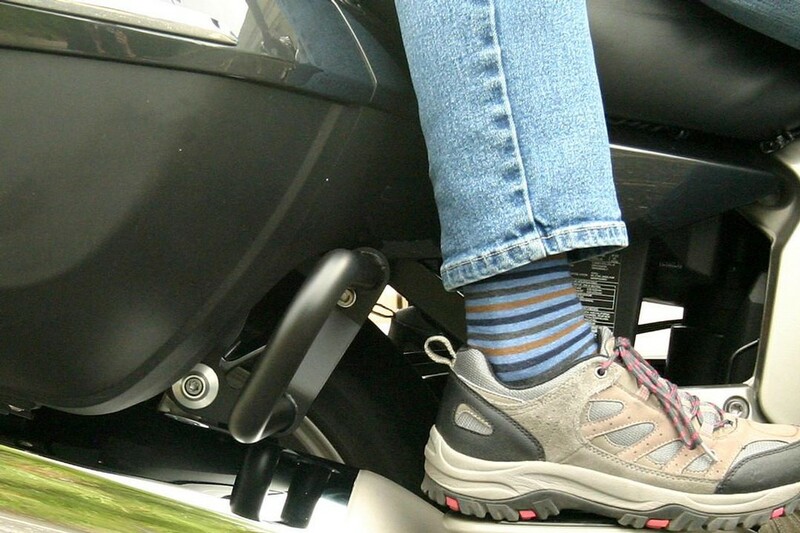 Designed to help protect vulnerable valve covers, cylinder heads, exhaust pipes and body work in the event that the bike goes down. 6. Does not have to be removed for routine servicing. 7. Covered by a 1 year warranty on workmanship and materials from time of purchase by original owner. 8. Also available in a Silver Metallic powder coat, Part# 30-200. NOTE: If you have BMW Auxiliary LED Headlight with brackets, you will need our part# 30-250BL Auxiliary light Mounts. 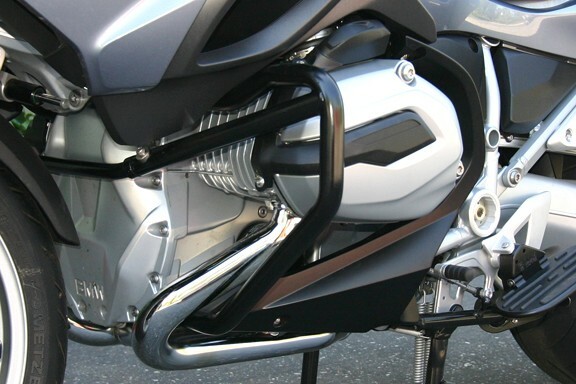 These allow the use of BMWs Auxiliary LED Headlights on R1200 RTW bikes fitted with Ilium Works Engine Guards. 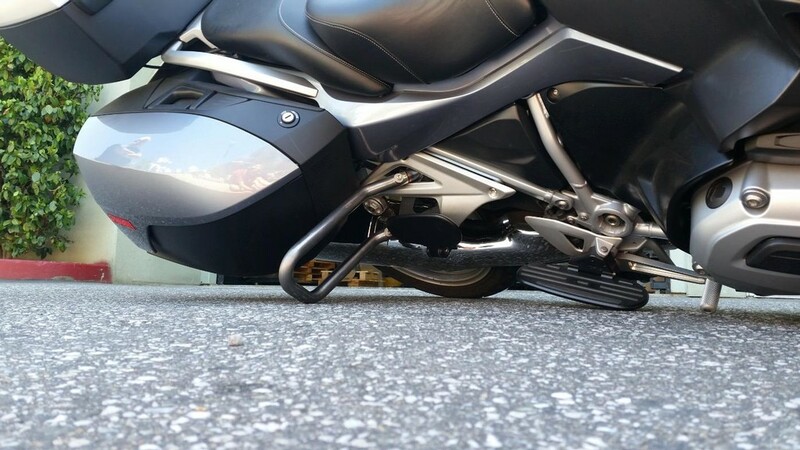 Suggested Highway Pegs for these bars: 26-800BL or 27-100BL.